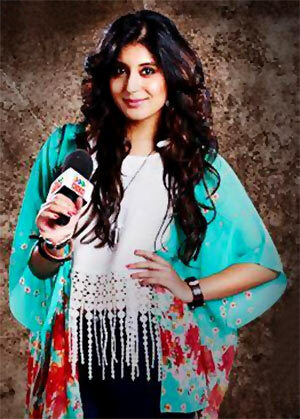 Television actress Kritika Kamra returns to the small screen after a two year hiatus. [size=36]K[/size]ritika Kamra returns to television with the new show Reporters, on Sony Entertainment Television. Kritika plays budding journalist Ananya Kashyap, a role that required some effort, she says. She tells Rediff.com contributor Rajul Hegde more about the serial. You are doing a daily soap after two years. Are you choosy about your work? I believe in quality and not quantity. I required a break to reinvent myself. I don't want to be on television every day and bore my audience. For a daily soap, you have to make a long commitment, so I must be excited about the show. Were you nervous about playing a reporter? I have never been nervous about a show but this time I was because I play a reporter. They are very opinionated and critical. I am aware that journalists all over will criticise me. The show is going to be about the life, difficulties, and relationships in the fierce world of the media. I watch a lot of news. I have my favourites but I am trying to create by own identity by not copying anyone. I want the audience to accept Ananya Kashyap as a reporter. Has the media played a role in your life? In every actor’s life the media is what makes or breaks you. Over the years, I have made several friends in the media. So far, the media has been very kind to me. Whatever people know about Kritika is due to the media. I have developed a particular bonding with them. Do you follow the news personally? I follow political news since I am very active on Twitter. Whether you like it or not, you come to know about what is going on. I am very interested in current affairs. Had you ever thought of being a journalist? Actually, I studied fashion communication in NIFT, which is the fashion part of communication. My father wanted me to be a doctor so I played a doctor in Kuch Toh Log Kahene. My mother wanted me to be a journalist and here I am. By choosing the field of acting I am trying to fulfill their dreams (smiles). [size=36]W[/size]hat have you learnt about the media from this role? I went to a news studio and got a clear idea of how news is made. I gave headlines, did voice-overs, edits and other technical things. For the first time I understood the meaning of a news ‘beat’. We always question sensationalism in news reporting but I realise now that it is a cut-throat industry, where you have to be more impactful than the other. Was there any awkwardness with the kiss (Rajeev Khandelwal, her Reporters co-star kisses her in the promo, and she slaps him for it), considering this was your first on-screen kiss? Even though it's the first time I have kissed on screen, I was not awkward. When the story was narrated to me, my first question was, can we show this because of the problems related to censorship. You make headlines catchy so people read it, and we made a promo that was edgy and which would talk about our show with an attitude. A kiss is very common in real life and in cinema, but I don't know why it is over-rated in television. The show is supposed to be bold, edgy and hard hitting and that's how we say it. Finally, what was it like working with Rajeev Khandelwal? I’ve seen his films and shows. He is my father’s favourite. He is a perfectionist. It is a luxury to work with someone who helps me elevate my performance.